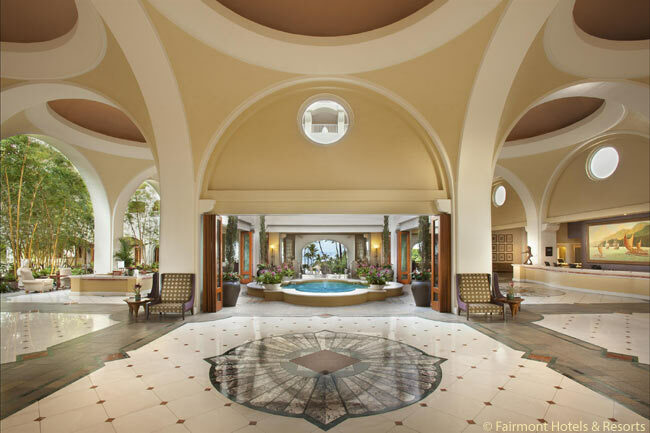 The first thing most visitors notice about the Fairmont Kea Lani on the island of Maui is the upmarket resort’s striking appearance: It is large, gleaming white (in Hawaiian, ‘kea lani’ means ‘heavenly white’) and terraced with spacious balconies bedecked with colorful tropical flowers. The hotel stands on a sloping, 22-acre site which gently descends to the sands of Polo Beach and the Pacific Ocean. 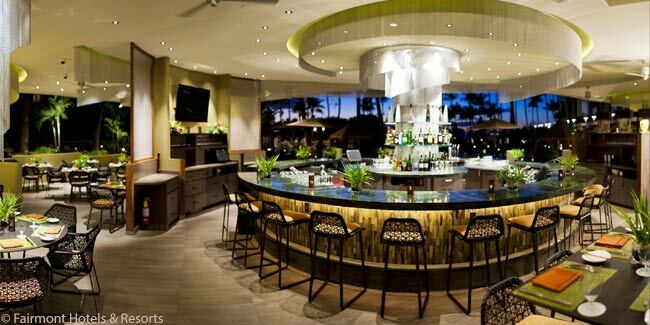 Located on the leeward southwestern coast of Maui, the Kea Lani’s public spaces – its main lobby, most of the hotel’s seven restaurants and bars, and much of its 42,000 square feet of indoor and outdoor function space – are open on the side, the better to feel the caressing trade winds that blow nearly year-round. The effect is calming and rejuvenating at the same time. You feel it as soon as you arrive. The accommodations, too, are spacious. 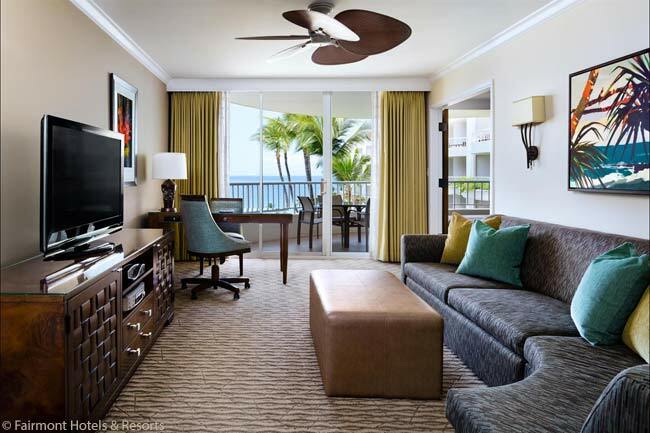 The Kea Lani is an all-suite hotel, save for 37 two-bedroom and three-bedroom villas set apart from the main building. 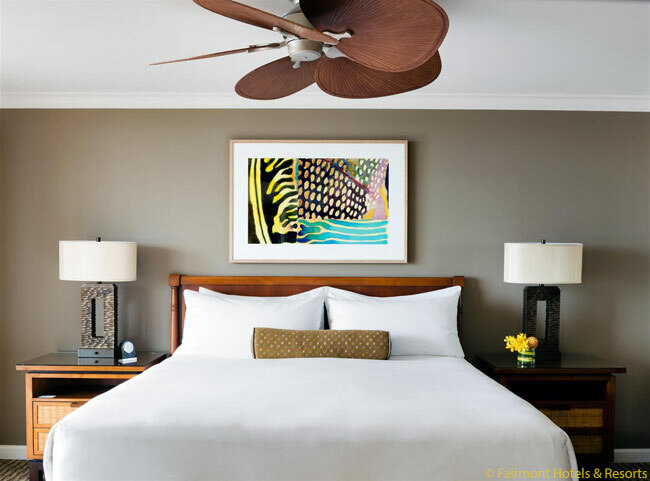 My wife, Georgina, and I had last visited the Kea Lani in 2013, and we had nearly forgotten just how much room and variety of furnishings and accessories an 860-square-foot (79.9-square-meter) suite can give you. Most of the hotel’s 413 one-bedroom suites, including the Ocean View Suite in which we stayed, are 860 square feet in area. 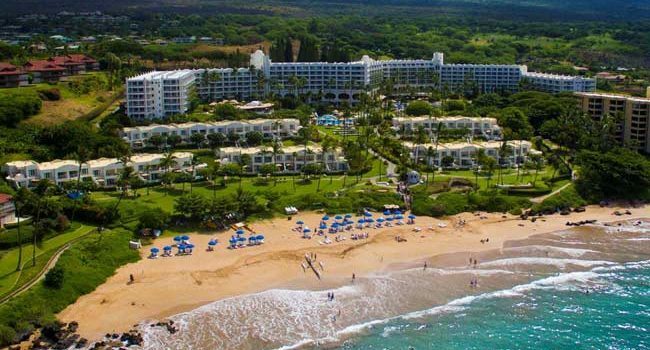 Some 75 percent of the Kea Lani’s guests are leisure travelers, but the place is a prime spot for corporate incentive travel, too. Outdoor early evening revels for high achievers are a staple. The front door of our sixth-floor suite opened onto a long, low-walled corridor open on one side. As we arrived we caught views of fantastical cupolas and arabesques by the late Spanish-born, Mexican architect Jose Luis Ezquerra, who designed the hotel in 1991. It resembles a medieval Moorish fantasy air-lifted from Morocco to the middle of the Pacific, an enduring legacy of the 800-year Moorish presence in Spain. Ezquerra’s whimsical flourishes look as though they were made from white meringue. Awaiting us in our suite just after check-in was a platter of fresh fruits, with two small plates, knives and forks and pressed linen napkins set on a countertop in the foyer. In an iced metal bucket resided a welcoming bottle of wine. The foyer opened into a living room, complete with a small cabinet topped with a counter on which sat a flat-screen TV. Facing the screen was a long, cushy couch which could be folded out – a hideaway bed perfect for families with children. At the far end of the living room, set before a sliding glass door, was a decent-sized work desk with two chairs and up-to-date plug-ins and electronics. Just past the glass door was a sizable lanai (balcony) overlooking grassy, manicured grounds flecked with swimming pools, ponds and a small waterfall. The foyer connected through double doors to the bedroom. Also spacious, with a heavenly double bed, the bedroom included a large closet and a second flat-screen TV, this one facing the foot of the bed. The well-appointed bathroom came with a spacious shower open at one end and a luxurious bathtub for soaking, as well as a double sink and panel of mirrors. The bathroom floors were marble. The bathroom connected at one end to the foyer, which included a WC and a second smaller closet. Our suite had more than enough room for most couples and would serve just fine for families of three or four. After sorting ourselves out, the missus and I headed downstairs to the lobby – which was airy, open to the elements and suffused with natural light. Papery red bougainvillea blossoms blew gently across the floor. We settled into comfortable chairs facing the ocean in Luana, the bar just off the lobby. 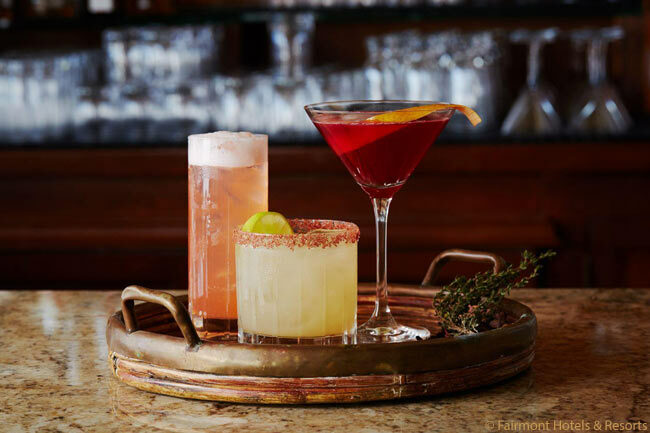 A martini for him, a glass of Pinot Noir for her. 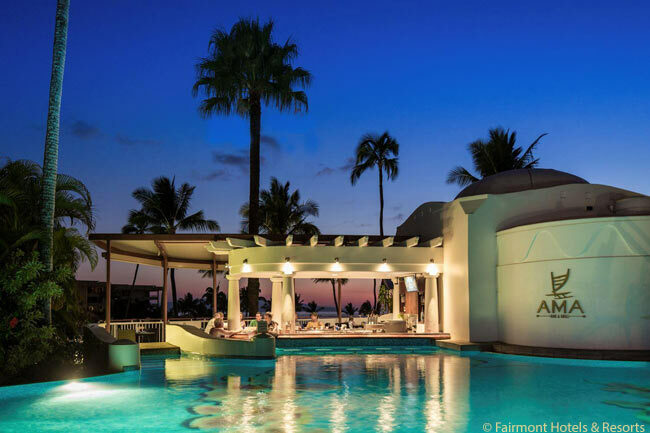 At night Luana is transformed into a lounge where singers and instrumentalists strum and sing pop tunes, swooning Hawaiian ballads and lighter-than-air jazz. 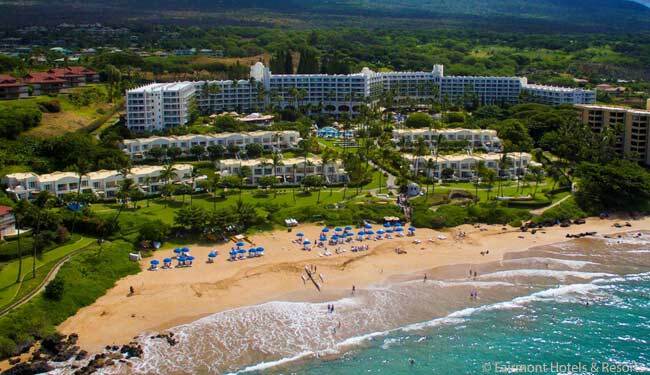 Some months after our early-2018 visit, West Maui was scorched by wildfires; none reached the Kea Lani or other beachfront hotels in the popular Waimea-Kihue area of South Maui. The fires were extinguished in August when Hurricane Lane drenched the island with heavy rain. During our four-day stay, we often lunched on green salads or perfectly grilled and garnished burgers with sweet, sliced Maui onions and thick Maui potato chips at Ama Bar & Grill. Ama is a partly covered, casual eatery with a swim-up bar at poolside and fine sand underfoot on terra firma. A winding footpath passes by. Indeed, walkways wind all around the resort property. One walkway ends on a small promontory graced by tall, slender coconut palms with glistening fronds rustling in the ocean breezes. We spent a lazy afternoon in a shaded poolside cabana. There, we sipped bottled water and papaya juice, snoozed a bit and looked on idly as fellow guests splashed about. Georgina immersed herself in a good book. I riffled through old magazines from my guilt pile. 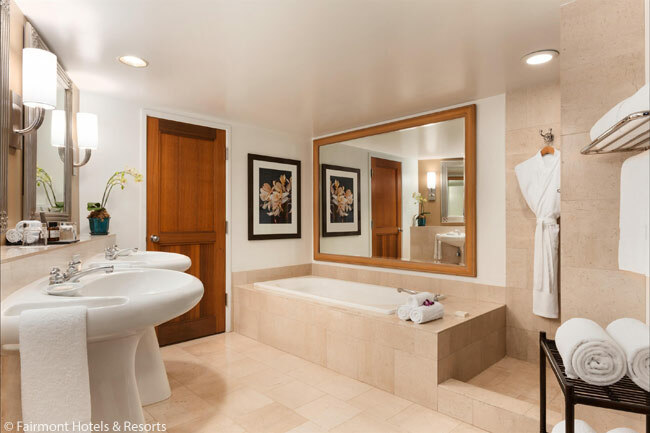 For full-on sybaritic relaxation, the Kea Lani showcases Willow Stream Spa – which had doubled in size since our first visit, to 9,000 square feet. Facials, massage, body wraps and scrubs with sea salt and crushed Maui vanilla beans are among the highlights on offer at Willow Stream. Fairmont is just one of 24 brands of Paris-based Accor Hotels. All told, Accor operates 570,000 hotel rooms in 4,200 hotels scattered throughout 100 countries. However, despite Accor’s enormous corporate footprint, Fairmont retains a distinctive identity. 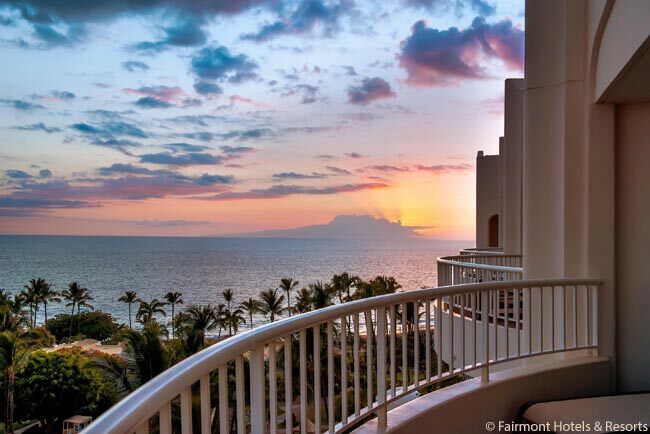 And with their high staff-to-guest ratio, high-end Fairmont properties such as the Kea Lani maintain a high level of gracious service. We ended our stay with dinner at Ko, the Kea Lani’s fine-dining restaurant. Under chef Tylun Pang, Ko features creative adaptations of historical Hawaiian sugar cane and pineapple plantation fare. Using largely local ingredients, Pang draws upon Filipino, Japanese, Korean, Chinese and Portuguese cuisines, combined with lessons he learned in his family’s Chinese kitchen. Beef, pork, chicken, upcountry vegetables, tropical fruit and fresh ocean fish are specialties of this enticing destination restaurant. 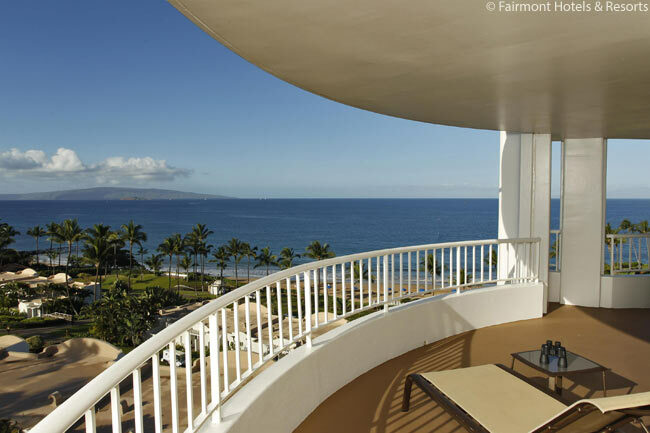 The Fairmont Kea Lani Maui is located at 4100 Wailea Alanui Drive, Wailea, Maui, Hawaii, USA 96753. Phone +1 808.875.4100 for reservations, or call toll-free at 1.800.257.7544 in the United States and Canada. 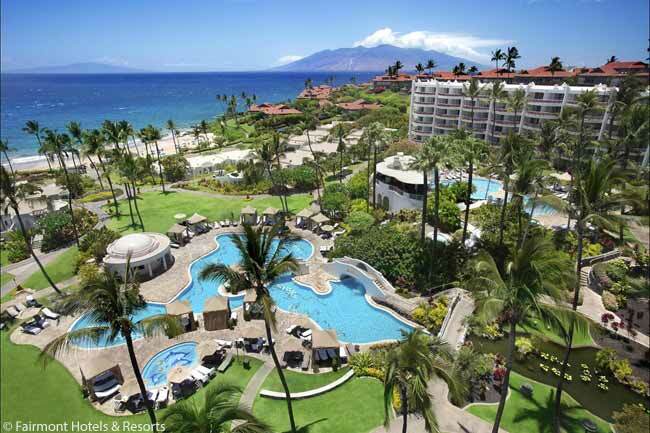 Email info @ kealani.com or visit www.Fairmont.com/kea-lani-maui for information on the hotel and its amenities. Rooms start at US$406 per night, plus a US$40 per day resort fee. Charges fall with special offers and reduced off-season rates.